Sometimes you need a little you-time – a few moments to relax and be pampered. Preferably, in a space where there is a game you can watch and some good banter circulating while you soak up the atmosphere. Or maybe you are just looking for a reason to stay seated in the hyper-comfy chair at your local Jacks of London once your hair cut is finished. If so, all you have to do is ask your friendly Jacks barber for a 20-minute facial. Twenty minutes is all you need. Those hour-long pamper sessions the girls splash out on might be good for the soul, but 20 minutes is plenty to deep cleanse the skin, slough off that top layer of dull, dead cells and rejuvenate you and your skin. Women have long recognised and enjoyed the benefits of face masks, but they kept the secret from us by huddling together over a rom-com and tubs of ice cream while the genius formulas did their work. But we need be excluded no longer. Man Masks are here, and with them treatments that have been specially formulated for male skin, which is structurally different to women’s. Androgen (testosterone) stimulates, so skin is thicker, sometimes by as much as 25 per cent, and tougher. We also produce more sebum (oil), which explains why we suffer from skin problems more often. So the bad news is, you can’t steal your girlfriend/wife’s tub of expensive face mask. You have to source it elsewhere. That’s where your favourite barber (ahem, that’s us) comes in. We were one of the first barber stores to step beyond the trad, and add in services that we knew you’d love beyond the weekend. Cue the activated charcoal mask. It is quickly and easily applied while you are still in the chair, with no fuss and no mess. We apply it, leave you to chill out for a bit and simply peel it away to reveal fresh, clear skin. 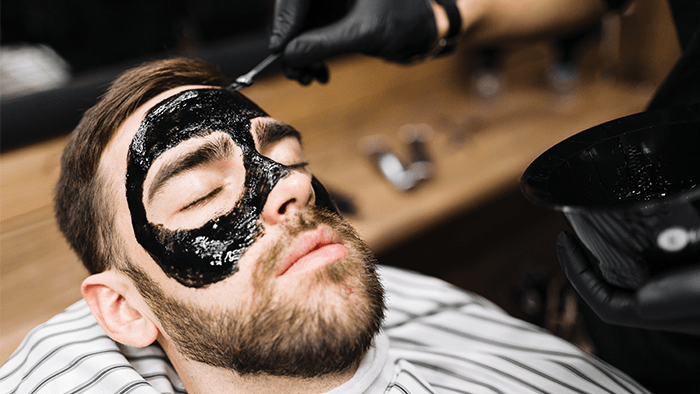 There are quite a few brands out there now, but we’ve done our research and found the best results come from Barber Pro PUTTY masks with activated charcoal. This key ingredient soaks up the toxins and pollution flourishing on your skin. Also, the peel isn’t harsh or sore like some brands out there because it’s only got good stuff in it, like Deep Sea Water, Extracts of Grapefruit, Lavender, Strawberry Ginkgo Biloba Leaf, Orange, Green Tea, Tea Tree and Lemon. 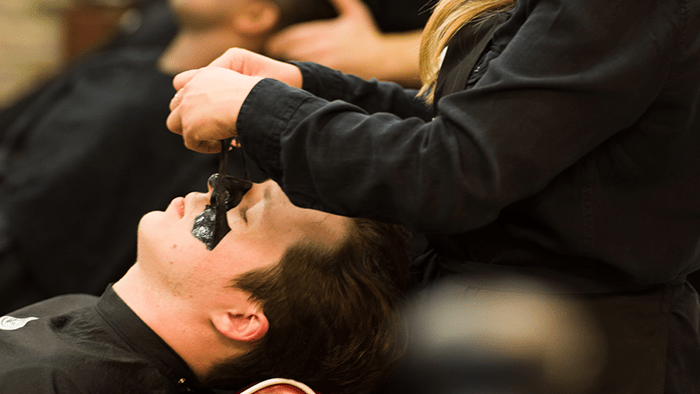 So sit back, relax and enjoy as we help you achieve skin worthy of that ace haircut we give you. For a 2nd year running the Jacks of London Art Team have made it through to the L’Oreal Colour Trophy GRAND FINAL!